Our pressure vessel steel is of Western Europe and Indian origin which is the steel of choice for the world’s boiler & pressure vessel fabricators. Steber Steel have a global reputation for the supply of high quality pressure vessel steel to these fabricators and many of them are suppliers to some of the world’s largest gas, oil and petrochemical companies. 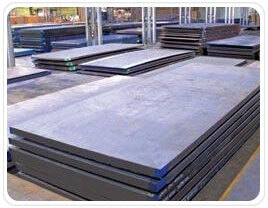 Steber Steel’s range of high quality boiler steel plate can be found in numerous worldwide industries. 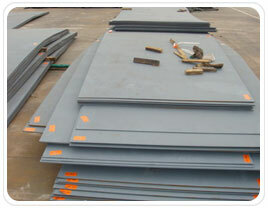 It is used primarily in the fabrication of boilers in industries such as shipbuilding, petrochemical and manufacturing. 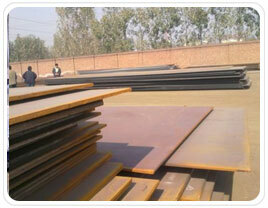 Steber Steel, supply high quality wear resistant steel with superior wear performance. 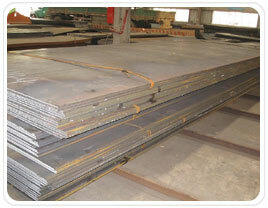 Combined with excellent weldability these plates stand up well in the toughest industries such mining and earth moving. 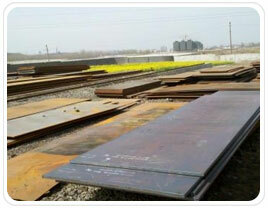 Also known as abrasion resistant steel plate, the high resistant long life plates can be cut and profiled to your exact requirements and provide an excellent return on investment where long life of the steel is at a premium. With numerous grades and thicknesses on offer, we can supply the right type of plate for the right job, whether it is for construction machinery or mining equipment. Stainless steel plate is often referred to as "corrosion-resistant steel" â€“ it does not stain, corrode or rust as easily as normal carbon steel. It would however be misleading to say it is corrosion-proof. It differs significantly from standard carbon steel due to the amount of chromium present, which limits surface corrosion unlike carbon steel which will rust when exposed to air and any moisture in the atmosphere. Due to its anti-oxidation qualities, stainless steel is often a popular solution. 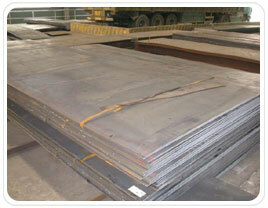 We are engaged in offering Mild Steel / Carbon Steel Plates, which are manufactured using quality material such as stainless and carbon steel. Manufactured in confirmation with IS:2062 / a36 / s355 series & EN series. These are available in different dimensions and finishes. 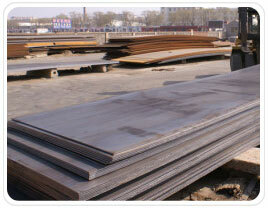 Our range of Mild Steel / Carbon Steel Plates is extensively used in structural, engineering and mechanical applications. We are engaged in offering Hardox Plates that are available in a series of 400 & 500 and are used to increase the wear life. These are manufactured and designed using quality material as per the industry norms and standards. Our valuable clients can also avail from us these plates in various sizes and finishes as per their requirements. Nickel, long used as an alloying element in thousands of alloys, is produced by a wide range of companies worldwide. It has an excellent track record for providing corrosion resistance, high strength at high temperatures, and aesthetic beauty in a wide range of applications. Nickel alloys are used today to provide cleaner and safer transportation, to provide clean food and water, to reduce emissions to air and water, to produce more durable products, to provide clean and renewable energy, and to provide efficient shipping and communications. It has become known as an "enviro-metal.